The good news: finally after a long delay, the first actual construction for the Hardy Toll Road downtown extension will begin soon. The bad news: this project is just one overpass, and there are two more crossings to be built in phase 1 before construction of the actual main lanes will start. I've been nervous all these years that the project has been on hold, since you never know when the political climate can change or opposition may arise to try kill the project. This project passes through the inner loop, the most difficult area of Houston to build or expand freeways. Is there a map of this extension? The winning bid was $17.5 million by Harper Brothers LLC. I've never heard of Harper Brothers, so they're new to Houston or don't normally do larger highway projects. when they are fully executed by the contractor (UPIN 0405050403). The second contract for the downtown extension has been awarded, $21.6 million for the Lorraine Street underpass. 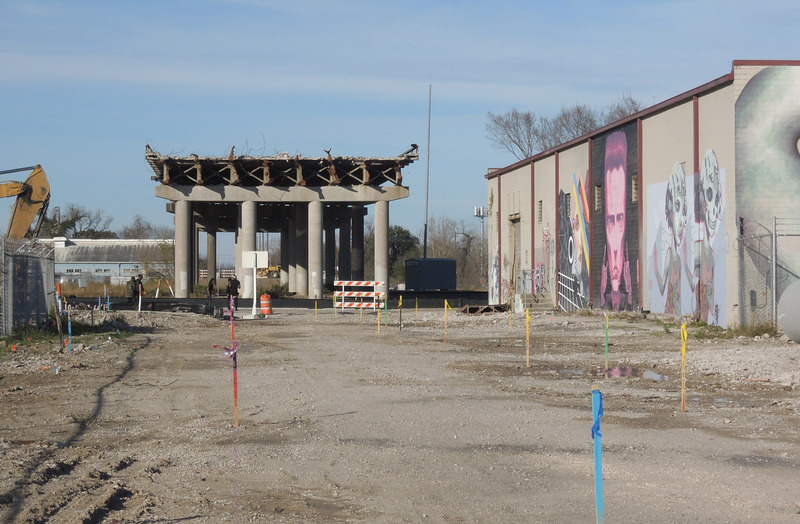 Texas Sterling Construction Co., in the amount of $21,618,080 for construction of the Lorraine Street underpass, including a pump station, utility relocations, and associated drainage features in connection with the Hardy Toll Road downtown connector project in Precincts 1 and 2. 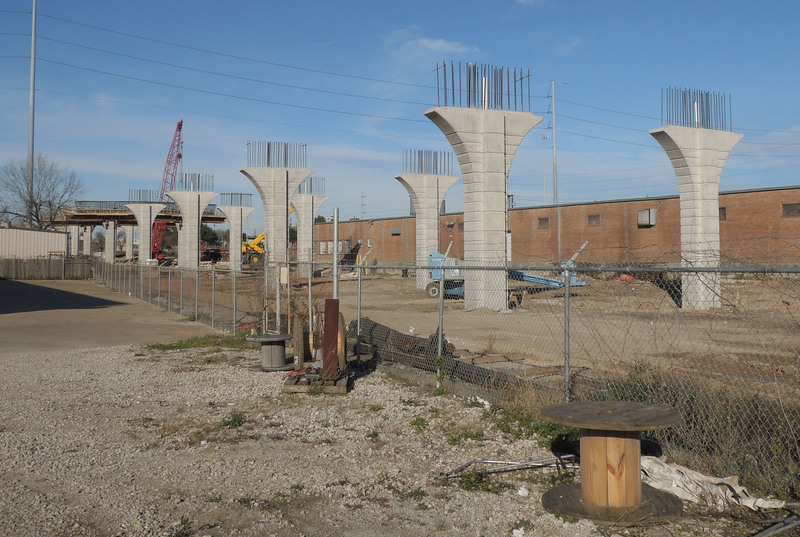 Work is proceeding on the first contract, which is the Collingsworth overpass. The photo below was taken December 24. I noticed that Houston has new Google Earth imagery dated October 29, 2017. 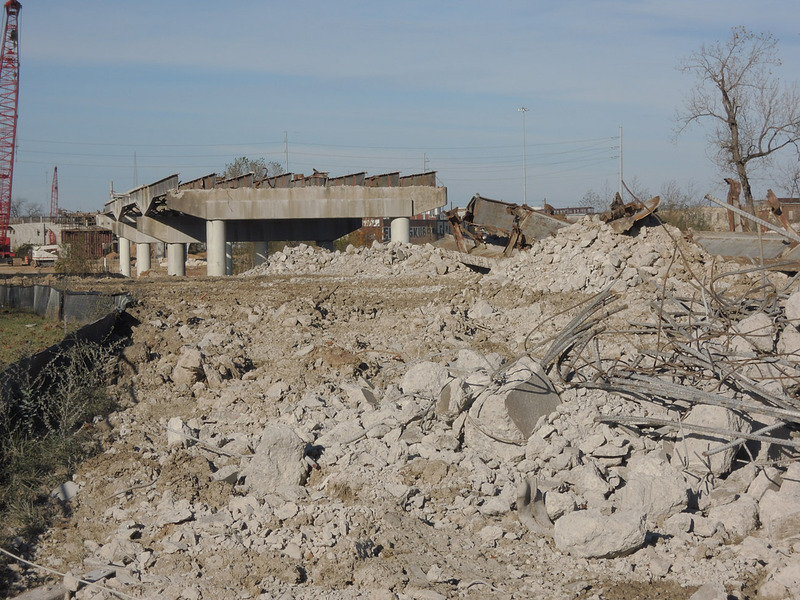 They are demolishing the Elysian Street viaduct. Is that related to the Hardy Toll Road extension? 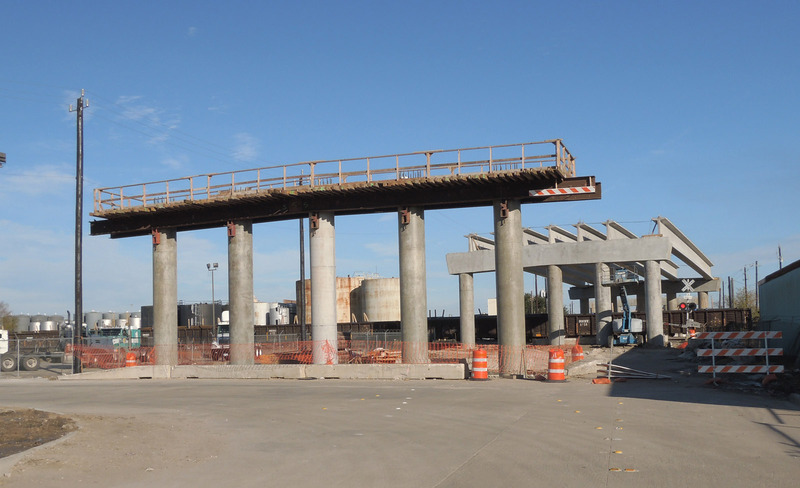 Since the Hardy Toll Road extension will connect into the Elysian Viaduct, it makes sense to have the Elysian Viaduct work completed in advance of the toll road. 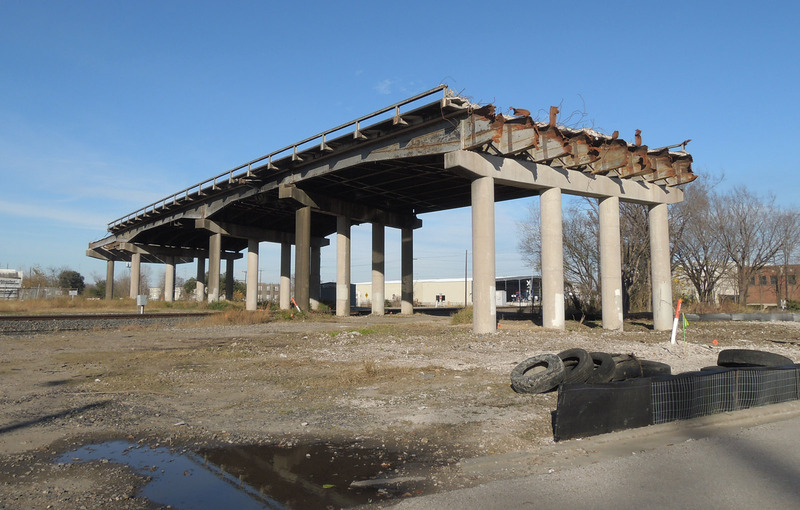 Here are some Elysian Viaduct demolition photos I took on December 24. News report about the extension. Contracts for construction of the main lanes are scheduled to be awarded in 2019.